CareCo LLC has been in the business of creating quality products since 2005. They began manufacturing and distributing Scent Bomb air freshener in 2010 and it has since become the fastest growing product in their line. 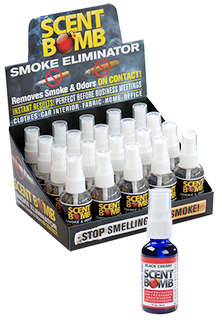 They manufacture the Scent Bomb product on the simple principal of bringing the best possible quality of product to customers. They do this by making Scent Bomb air freshener with 100% fragrance oil. With Scent Bomb they keep their oil 100% pure and simple. This makes for the longest lasting and best smelling air freshener that you can find. Come check out our great line of Scent Bombs! We have the lowest prices in the nation GUARANTEED!! !